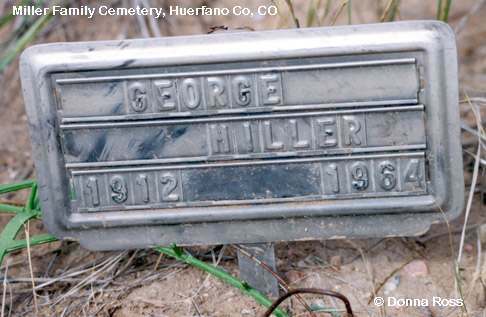 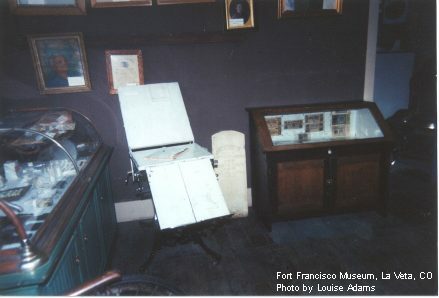 The Doctor John William Gribble headstone on display in the Fort Francisco Museum is from the Willis Cemetery about 1½ miles east of La Veta. 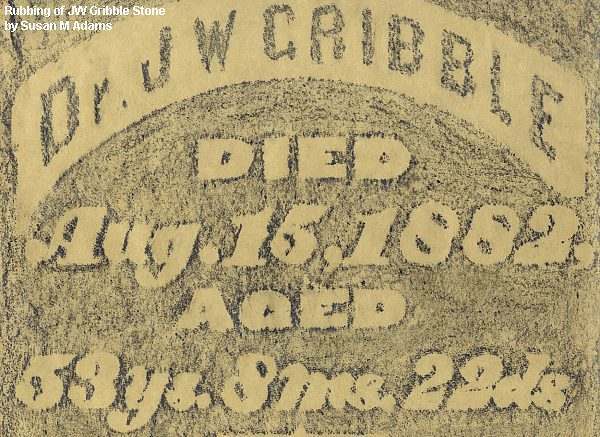 Dr Gribble was Louise Adams' great-great-grandfather. 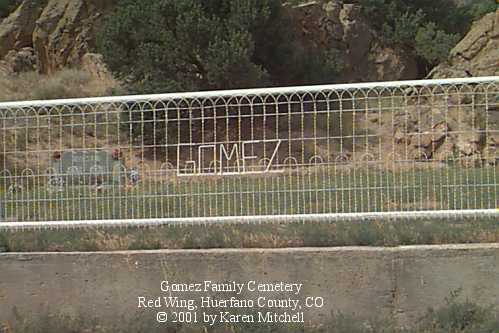 The Gomez Cemetery is located just east of the Redwing Cemetery. 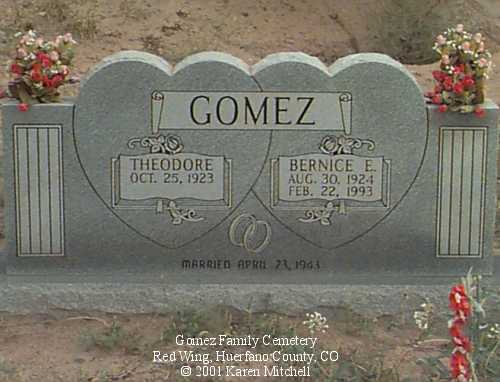 The land for this cemetery was donated by the Theodore Gomez family. 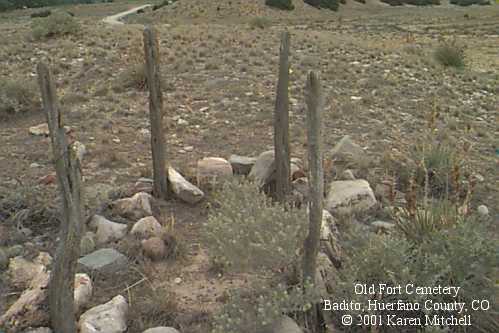 Theodore and his grandson, Daniel Gomez, excavated the land and Daniel built the fence. 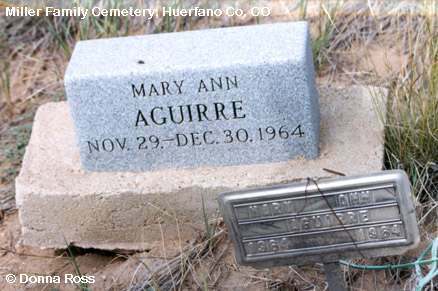 Bernice Castro Gomez is the first person to be buried in this cemetery. 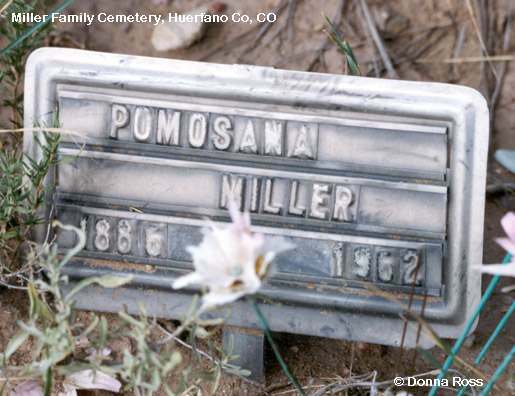 This cemetery was photographed during the summer of 2000. 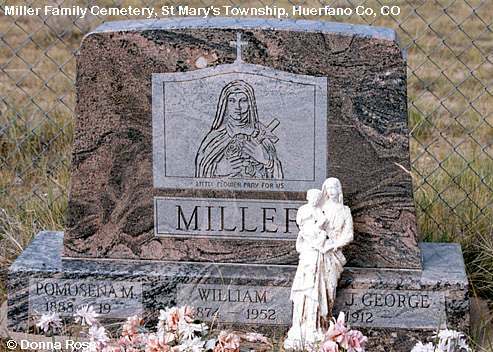 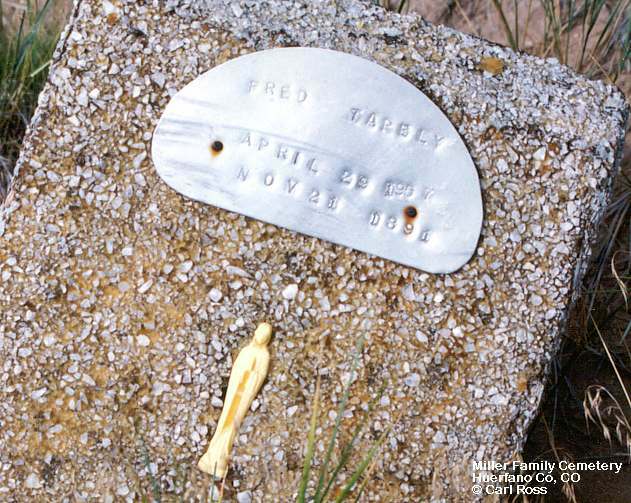 This cemetery is located north of Colorado Highway 69 between mile markers 13 and 14 in the W1/2 of Sec 2, T27S, R68W. 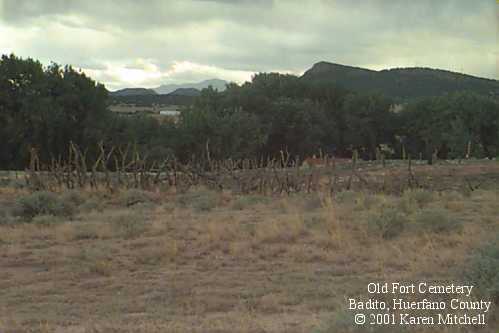 To reach the Old Fort Cemetery: From Hwy 69 turn right at Badito, approximately 1 mile to cemetery. 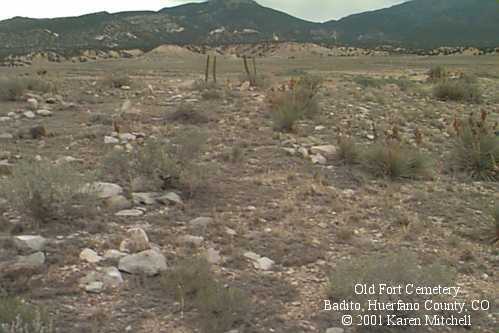 N of Badito 1/2 mile S of little old school N of Huerfano River. 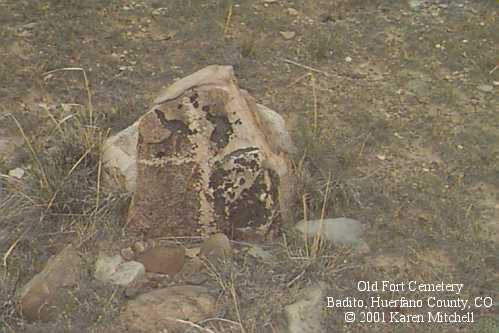 SW ¼ of SW ¼ Sec 4 T27S, R68W. 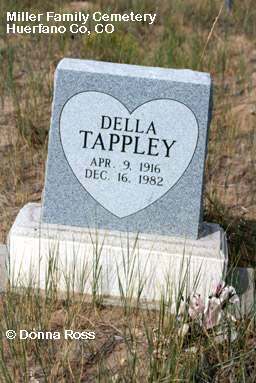 There are no legible stones. 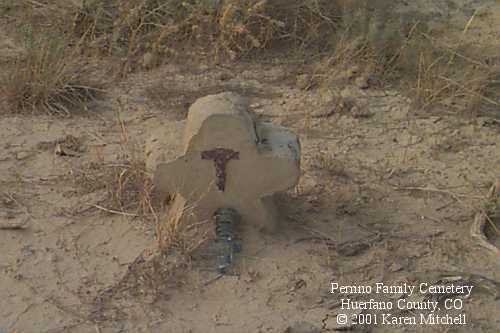 Perrino Cemetery - At Perrino house, N side of Huerfano River 3 miles E of Badito. 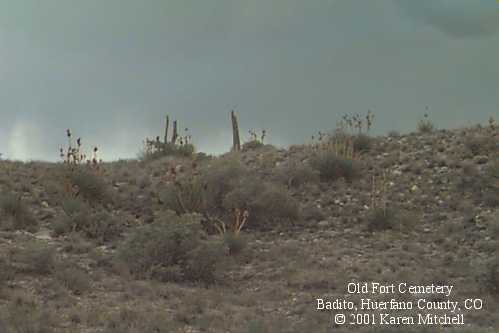 NE 1/4 of NW 1/4 Sec 2 T27 R68. 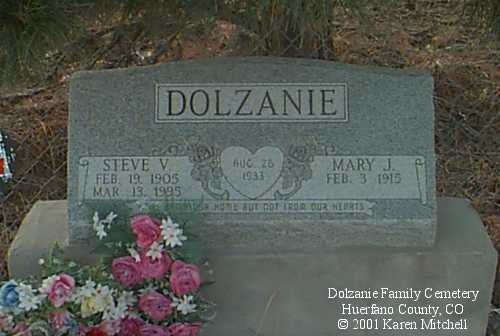 Unknown, only stone located at the Perrino Famliy Cemetery.